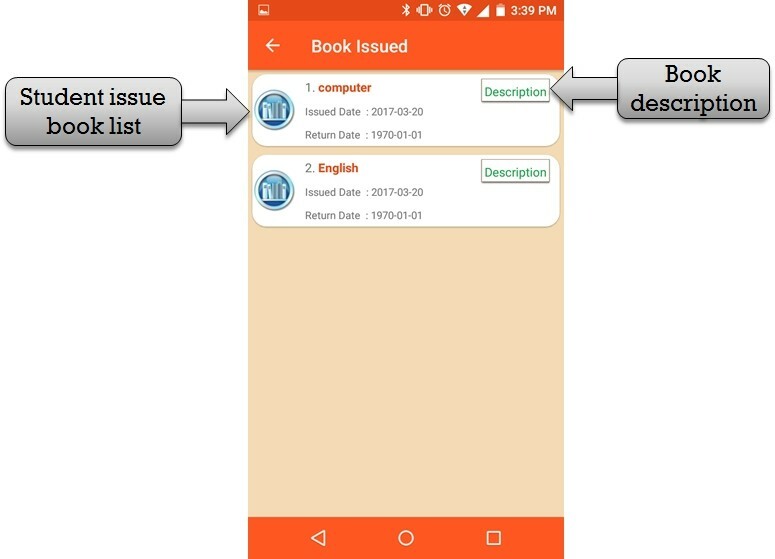 Step:1st -ZeroERP School management App Software- You have to check issue book name and issue book date then return date . 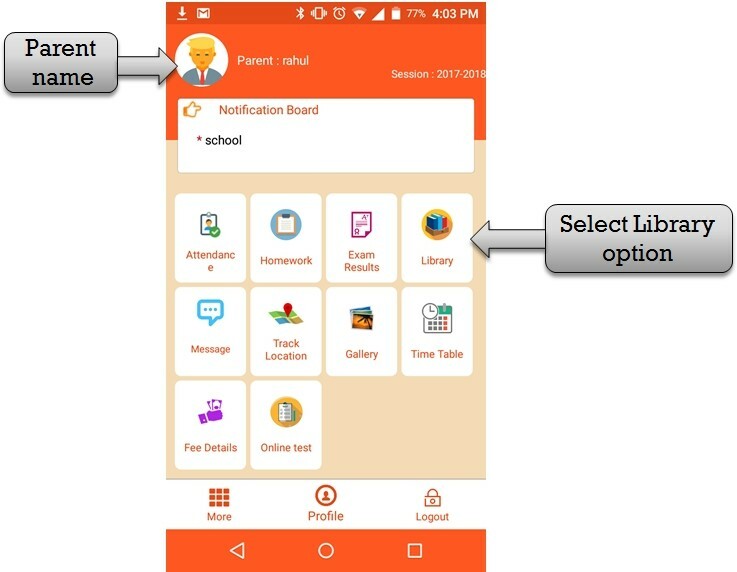 Step:3rd -ZeroERP School management App Software -Book issue for student full description . 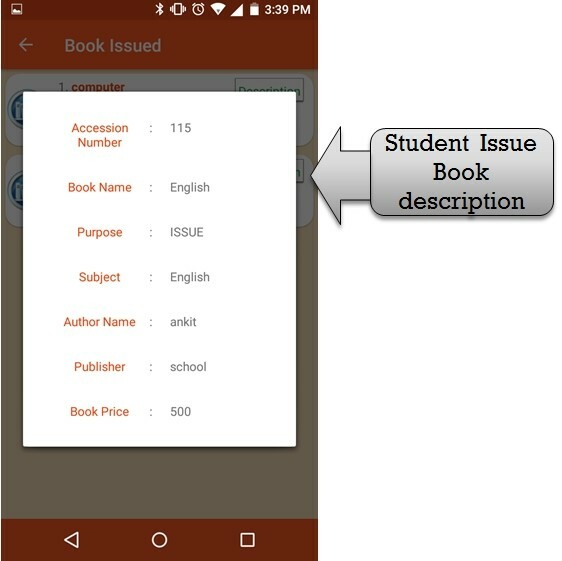 display book Accession number , book name , subject name etc .